Spain coach Vicente Del Bosque does not feel his side have gained any advantage by securing a last 16 showdown with Portugal rather than five-time world champions Brazil. Spain's 2-1 win over Chile in Pretoria saw them replace the South American side at the top of Group H, but with both nations still going through. 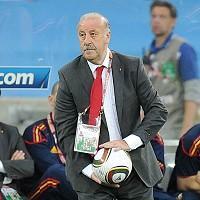 Del Bosque said: "Portugal concern me. We've seen how they controlled the game against Brazil, hitting them on the counter-attack. Portugal are going to be a very tough side. I take no satisfaction from the fact we're up against Portugal instead of Brazil. They are both great national teams."